We won't pay for the crisis. The rich have to pay for it ! 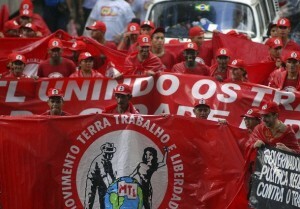 Attendees march during the first day of the 2009 World Social Forum near the mouth of the Amazon River in the city of Belem January 27, 2009. The 2009 World Social Forum, made up of anti-capitalist groups ,runs from January 26 to 30 (c)REUTERS"
Anti-imperialist, anti-capitalist, feminist, environmentalist and socialist alternatives are necessary By the Assembly of Social Movements We the social movements from all over the world came together on the occasion of the 8th World Social Forum in Belém, Amazonia, where the peoples have been resisting attempts to usurp Nature, their lands and their cultures. We are here in Latin America, where over the last decade the social movements and the indigenous movements have joined forces and radically question the capitalist system from their cosmovision. 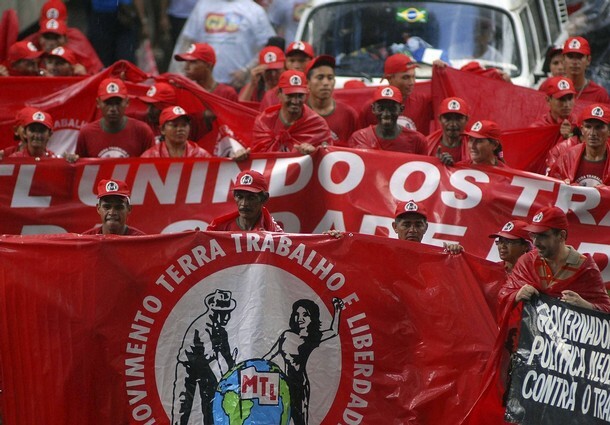 Over the last few years, in Latin America highly radical social struggles have resulted in the overthrow of neoliberal governments and the empowerment of governments that have carried out many positive reforms such as the nationalisation of core sectors of the economy and democratic constitutional reforms. Increase occasions for mobilisation through the year: March 8, International Women Day; April 17, International Day for Food Sovereignty; May 1, International Workers' Day; October 12, Global Mobilisation of Struggle for Mother Earth, against colonisation and commodification of life.